Imagine being able to have all of your Florida real estate ownership/interests private from the general public. Imagine that any potential judgment creditors were unable to attach to any of your real estate interests. Imagine that in order to convey your real estate interests that you no longer had to go along with the formalities of executing and recording a deed. These are just some of the benefits of the Florida Land Trust. The Florida Land Trust is an estate planning and asset protection tool that is used by U.S. citizens and foreign nationals for purposes of owning, transferring and managing real property. Florida Land Trusts are specifically provided for in Florida Statute Section 689.071. In a Florida Land Trust, real estate is conveyed from the grantor/owner to a trustee who then holds BOTH legal and equitable title to the property. Interestingly, to create a Florida Land Trust, the deed must never identify the beneficiary of the trust. The Florida Land Trust is usually created by three instruments. First, a deed of trust from the owners of the real property to the trustee of the land trust. This document is recorded in the official records of the county where the real property is situated. Second, a trust agreement is prepared that identifies the beneficiaries of the land trust and each beneficiary’s interests in the land trust. This document is never recorded in the public records and is to be kept confidential. The trust agreement identifies the person that has the authority to direct the trustee to convey property, convey interests in the property, distribute proceeds of a sale or financing, execute a mortgage, and execute any further administrative documents of the land trust. Third, memorandum of the trust agreement is prepared and recorded in the public records. This memorandum identifies the trustee and the type of powers that they are given to manage the property. Advantages of Florida Land Trusts. The interests of the beneficiaries of the Florida Land Trust are private, unless ordered by court order. Members of the public only deal with the trustee as the owner of the property. This can be very beneficial not only to individuals but also to entities and syndicates that own commercial real property. Asset Protection. Judgments against Florida Land Trust beneficiaries do not affect the legal title to the real property held in a land trust. However, in the unlikely event that a judgment creditor is able to discover the beneficiary’s interest in the land trust, the beneficiary’s interests can be attached. Further, a beneficiary’s spouse has no marital claim to the real estate in the land trust and does not have to participate/execute in the conveying of the property. Mortgage Financing. Mortgage financing on land trust does not become a personal obligation of the trust beneficiary, unless the lender specifically requires a personal guarantee. Probate Avoidanc Since the real property is held in trust it is considered personal property and not real property, probate is not necessary to pass title. Homestead Exemption. Issues often arise regarding whether a beneficiary’s interest are entitled to the Florida Homestead Exemption. The Attorney General of Florida issued an opinion providing that the following persons are entitled to claim the Florida Homestead Exemption: i) The trustee of a land trust, who also satisfies the residence and other requirements under Florida law. ii) The beneficiary of a land trust, who has a life estate and also satisfies the residence and other requirements under Florida law. iii) A person who is both the trustee and beneficiary of a land trust and satisfies the residence and other requirements under Florida law. Business & Tax Planning Flexibility. The Florida Land Trust beneficiaries can hold their interest individually or as a corporation, partnership, or other business entity. Ease of Transferring Real Property. Transferring real property is less complicated because the trust beneficiary can transfer their interest in the real property by assigning their interest, rather than having to execute and record a deed. Brendan A. Sweeney, Esq., of Sweeney Law, P.A., has created and litigated complex Florida Land Trust issues throughout Florida. 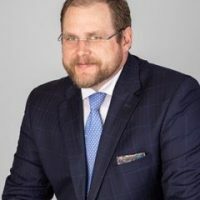 Brendan A. Sweeney, Esq., is an AV Preeminent Martindale Rated Attorney, that has been recognized as a Florida Legal Elite Rising Star Attorney in 2014, 2015, 2016 2017, and 2018. If you have any Land Trust questions and/or issues then contact Sweeney Law, P.A. at (954) 440-3993 immediately to protect your rights. www.sweeneylawpa.com.